The Gear Alloy 740B Mainfold satin black wheel is available in 17, 18 and 20 inch sizes. The Gear Alloy 740B Mainfold is available in stock, leveled and lifted truck applications. 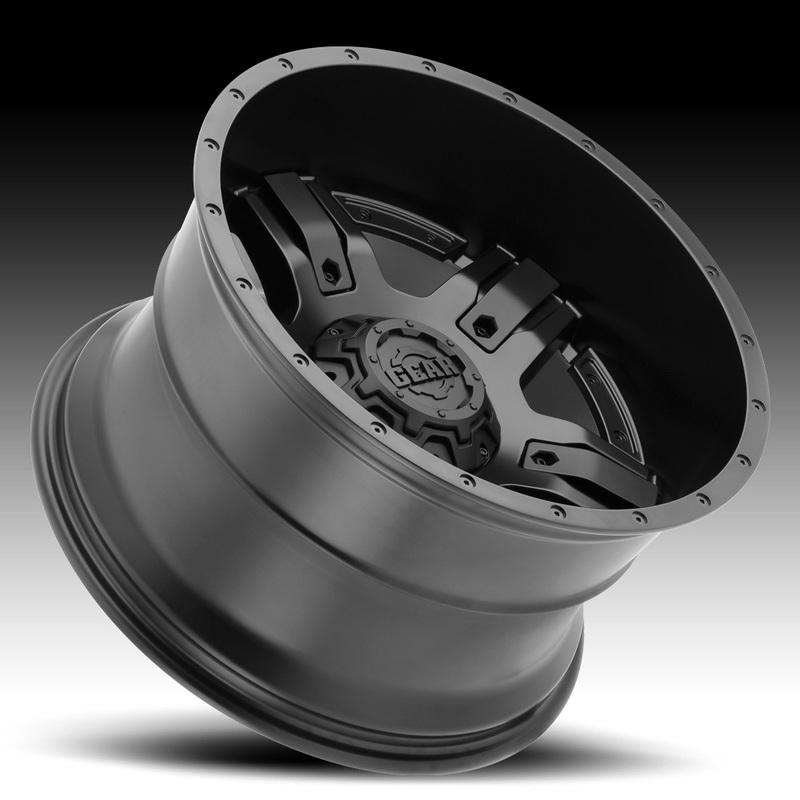 The 740B wheel is available for most trucks and SUV's. Free shipping on Gear Alloy 740B Mainfold wheels. Free lugs and locks included with the purchase of a set of 4 Gear Alloy 740B wheels. 17x9 5x127 / 5x139.7 -12 740B-7900912 $145.24 29.1 Lbs -->> Call or email for special deals! 17x9 6x135 / 6x139.7 -12 740B-7906812 $145.24 29.1 Lbs -->> Call or email for special deals! 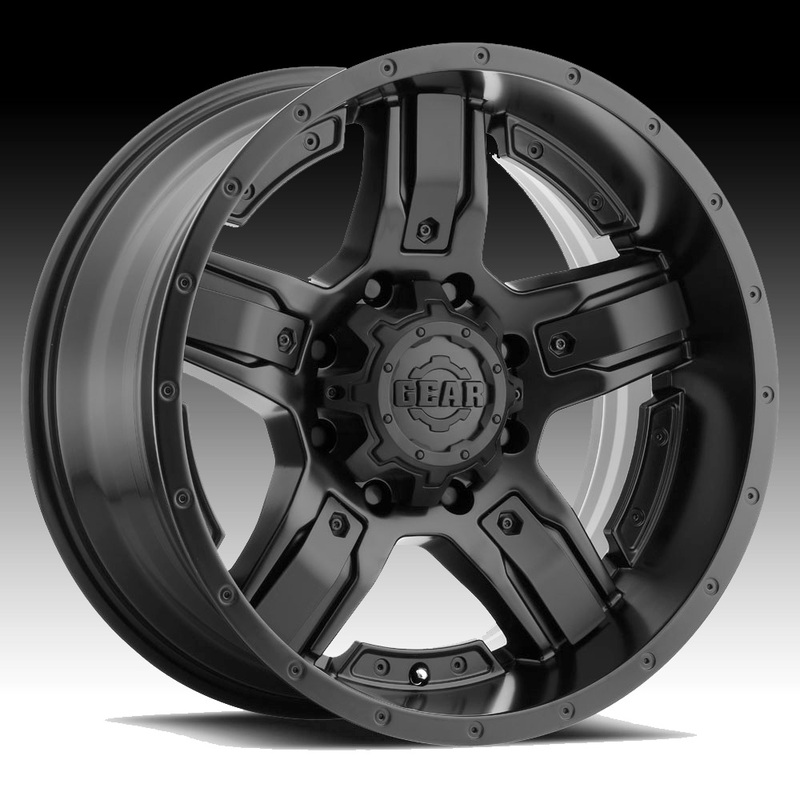 17x9 6x135 / 6x139.7 +18 740B-7906818 $145.24 29.1 Lbs -->> Call or email for special deals! 18x9 5x114.3 / 5x127 +10 740B-8900510 $170.70 31.74 Lbs -->> Call or email for special deals! 18x9 5x139.7 / 5x150 +18 740B-8905218 $170.70 31.74 Lbs -->> Call or email for special deals! 18x9 6x135 / 6x139.7 +18 740B-8906818 $170.70 31.74 Lbs -->> Call or email for special deals! 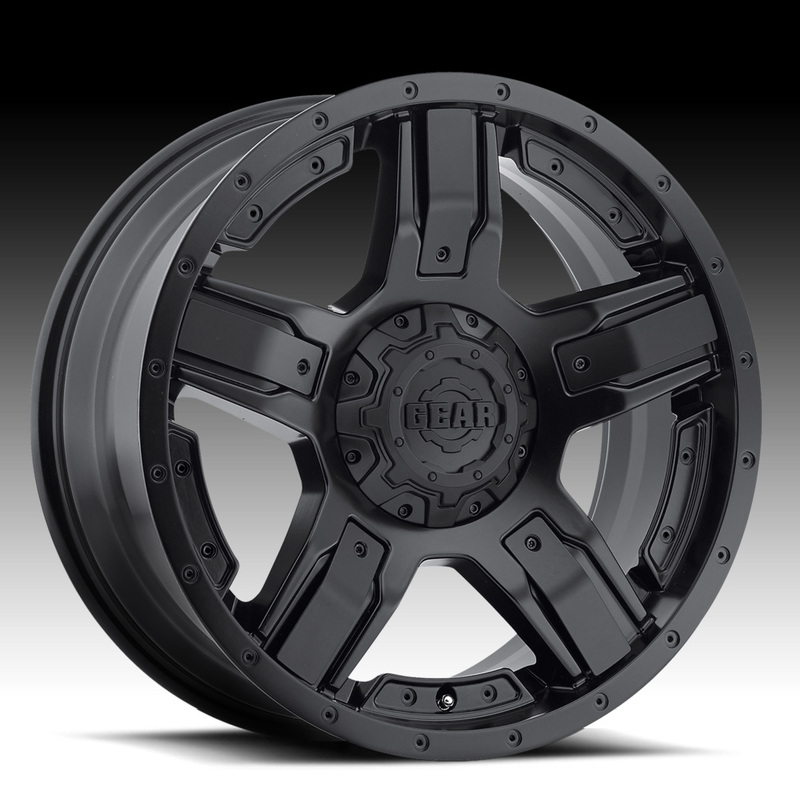 20x9 6x135 / 6x139.7 +18 740B-2096818 $208.92 37.7 Lbs -->> Call or email for special deals! 20x9 8x180 +18 740B-2098918 $203.53 37.7 Lbs -->> Call or email for special deals! 20x10 8x165.1 -25 740B-2108125 $215.37 47 Lbs -->> Call or email for special deals! 20x12 5x139.7 / 5x150 -44 740B-2125244 $227.20 53 Lbs -->> Call or email for special deals! 20x12 8x165.1 -44 740B-2128144 $227.20 53 Lbs -->> Call or email for special deals! 20x12 8x170 -44 740B-2128744 $227.20 53 Lbs -->> Call or email for special deals! For more information, please visit Gear Alloy's webpage.